Geography can serve as a starting point for building a community engagement strategy. And, GIS technology can provide you with the tools you need to accomplish it. Maps and spatial analytics form a sort of universal translator that allows us, as individuals, living and working in communities, to build strong, long-lasting relationships with other people in other communities simply by sharing geographic information. Crowdsourcing is the process of collecting volunteered information from people. If you give them the right tools, they can become your eyes and ears on the ground. Here’s an example. The State of California is suffering a decade long drought and cities are feeling the pinch of a growing, very serious water shortage. In response, the City of Los Angeles began a concerted water conservation effort named EveryDrop. 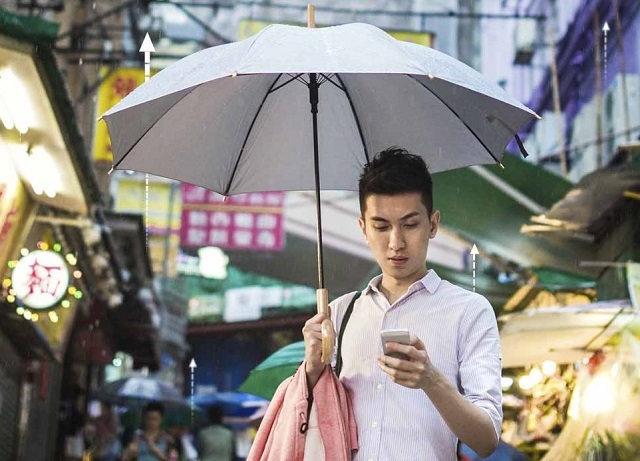 As part of their EveryDrop platform, the city offers a free crowdsourcing app for Apple and Android phones that allow citizens to report the location of water waste. The app also educates them in ways to better conserve water. You can read more about EveryDrop here. If you’re an ArcGIS Online subscriber, you already have access to the Crowdsource Reporter app template. This template allows you to configure a responsive app that works with your smartphone, tablet, or desktop browser. Crowdsource Reporter is a way for you to combine geography with important issues to generate community engagement activities. You can download the source code on GitHub. 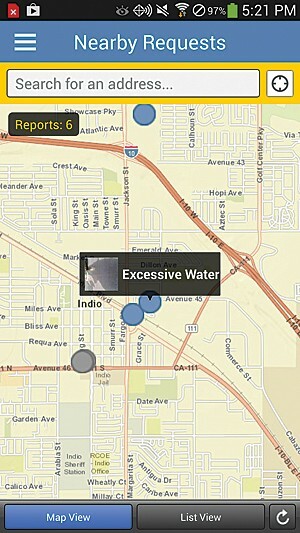 Crowdsource Reporter helps people report their observations and issues. Empowering people to send you their observations is one thing; doing something with the data is another. A critical activity for maintaining your crowdsourcing channel is to aggregate your crowdsourced data, analyze it, and then take action. There’s a companion application to Crowdsource Reporter called Crowdsource Manager that can help you do just that. Again, this is a free template with your ArcGIS Online subscription. You can download the source code on GitHub. Crowdsource Manager includes tools for reviewing details, updating status, and assigning responsibility. Another form of crowdsourcing is, well, a form. A survey form to be exact. Surveys are similar to reporting observations with a mobile app except that they can be administered by a person (to another person), or made available via a website and people are invited to participate. Combining geography with a survey can help to illustrate that you’re interested in a place that’s important to you or that the surrounding environment is a key aspect of the issue you’re trying to understand. 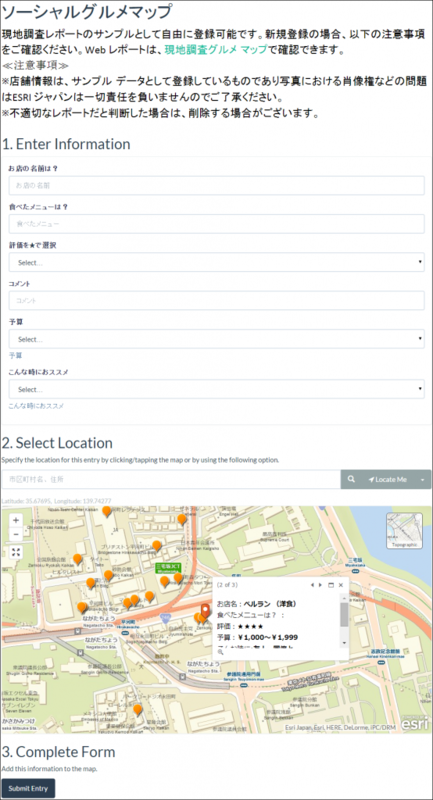 GeoForm is a simple way to ask people where the issue or observation is located. 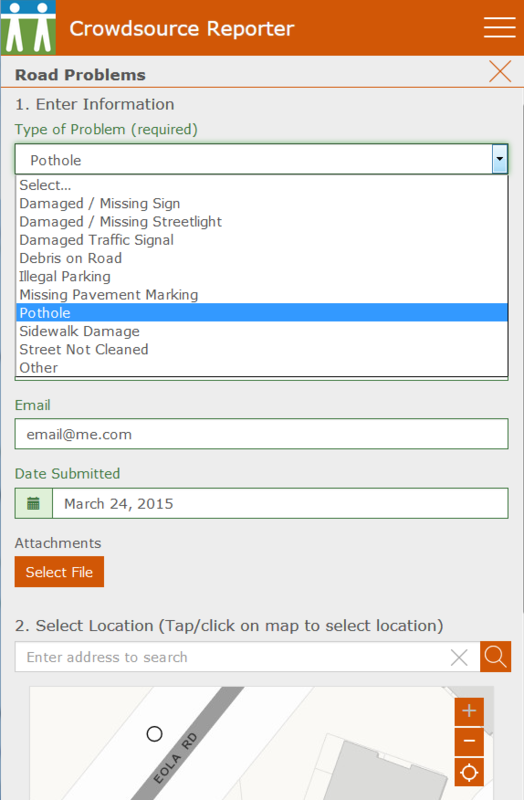 If you’re an ArcGIS Online subscriber, you can create and deploy your own form using the GeoForm template. This template helps you create a responsive, web-based form that allows you to conduct location-based surveys. You can download the source code on GitHub. Telling people a story that’s relevant to their location is powerful. If it’s related to their business or an issue that matters to them, then providing them with a clear story about it can be amazingly effective in bringing attention to the matter, helping you to establish more resilient engagement with meaningful content. Storytelling is a great way to communicate with internal stakeholders, as well. When you combine geographic information with storytelling, information takes on a new character of realism that charts and graphs just can’t instill. Story maps provide a provocative way to explore data and navigate through information nuances. Here’s an example. The Glen Canyon Institute is a “non-profit organization dedicated to the restoration of Glen Canyon and a free flowing Colorado River.” They develop loyal communities of members and people who want to get involved with one of their projects. So how does the Glen Canyon Institute communicate the importance their mission to these communities? One way they do it is by providing a story map that takes the viewer on a virtual tour of the Colorado River with more than 100 photos of key points of interest. You can tour this story map yourself at here. Glen Canyon: The Place No One Knew, a story map by the Glen Canyon Institute. If you’re an ArcGIS Online subscriber, you can create and share your own stories with story map apps, including the same app used by the Glen Canyon Institute. If you’re interested in getting started with story maps, start with What is a Story Map? It seems that everyone wants a dashboard app these days. A dashboard consolidates the measurements and reports of complex and often dynamic information into one simple view similar to the dashboard in your car. Your brain can absorb the information on a dashboard in just a glance. Geography works nicely in dashboards – it helps people orientate themselves to the information. This is especially important for decision-makers who need to stay on top of unfolding situations—they need to know what’s going on and where it’s going on in one glance. 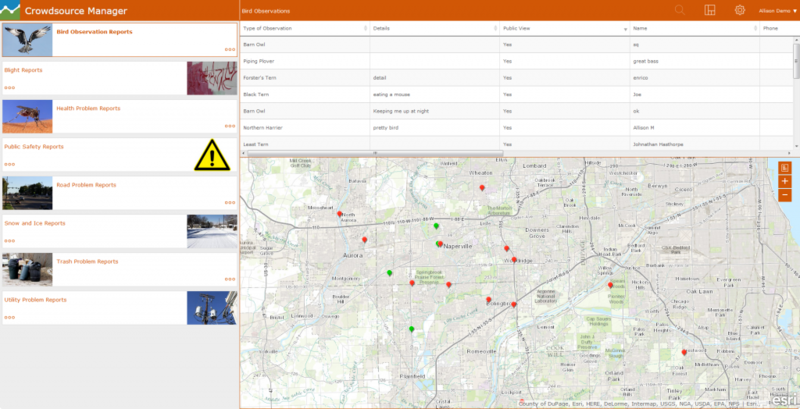 A good example of a simple dashboard is the Summary Viewer solution template available through an ArcGIS Online subscription. As its name implies, the Summary Viewer summarizes the numeric attributes of features in a specified map layer that are within the visible area of the map. The summaries can be configured to show the sum, average, minimum, and maximum of specified field values. The Summary Viewer is a configurable dashboard for reviewing complex statistics at a glance. Remember that dashboards can be very specific to project activities or organization assets. In other words, your dashboard doesn’t necessarily have to reflect what people are saying or observing; instead, a dashboard can describe the progress of a program as a whole. At the end of the day, community engagement depends on active listening, participation, and trust. Geography and mapping technology can play a key role in opening and sustaining the communication channels necessary to successfully support your communities both inside and outside your organization. Getting started with simple applications can help you build strong, long-lasting relationships with communities. After all, the culture of your organization is a reflection of the good work you do.